This cool space wallpaper taken from the International Space Station is not an interstellar cloud formation but artificial light over a cloudy China. Nightpod is a camera stand that helps astronauts take sharper images of night-time Earth by compensating for the motion of the Station as it orbits our planet at 28 800 km/h. This image was taken as the Space Station was flying northwest over the Chinese coast. 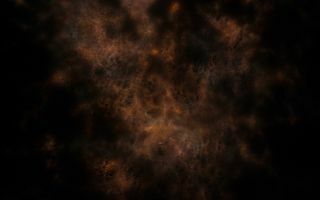 The lights from cities or fishing boats are dispersed by clouds to create the Nebula-like effect. This cool space wallpaper taken from the International Space Station is not an interstellar cloud formation but artificial light over a cloudy China. Nightpod is a camera stand that helps astronauts take sharper images of night-time Earth by compensating for the motion of the Station as it orbits our planet at 28 800 km/h. This image was taken as the Space Station was flying northwest over the Chinese coast. The lights from cities or fishing boats are dispersed by clouds to create the Nebula-like effect. An astronaut from Expedition 30/31 took the picture on March 21, 2012 as the orbital outpost flew towards Shanghai, China. This image was released Dec. 20, 2013.